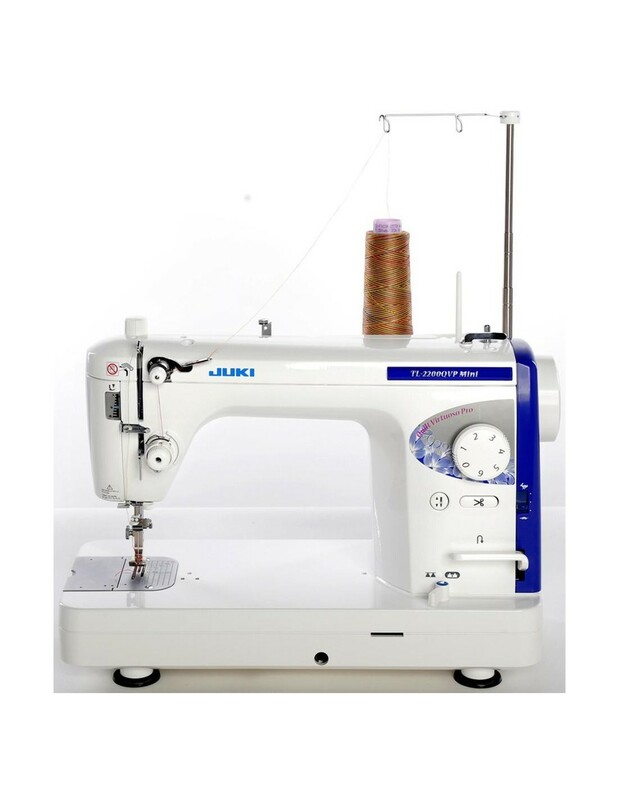 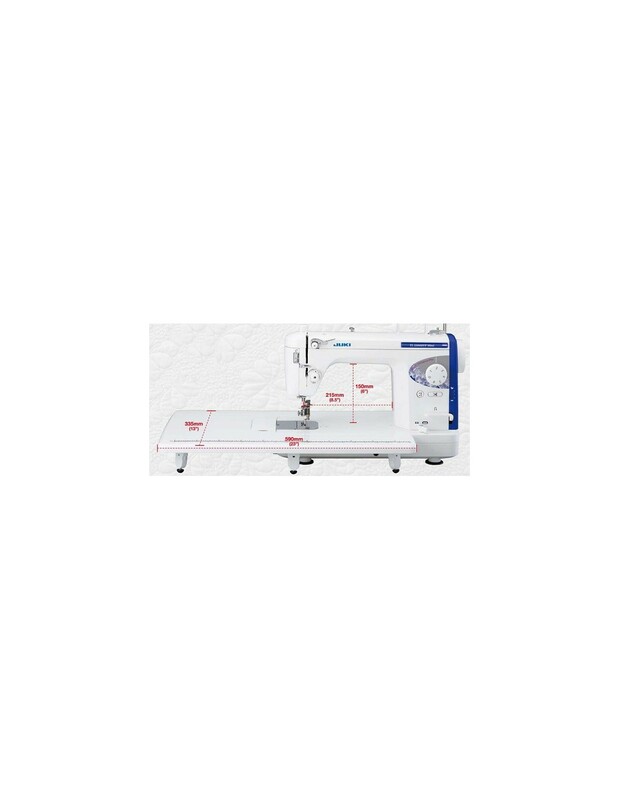 The Juki sewing machine TL2200QVP is a product suitable for professional use with long flat-bed, 1500 spm, fully automatic thread cutter, knee litfer and industrial rotative hook. 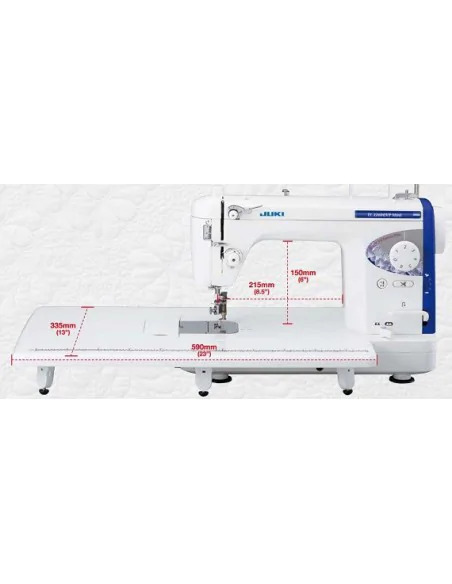 22cm to the right of the needle and 15.5cm in height allow easy sewing quilts and draperies without difficulty. 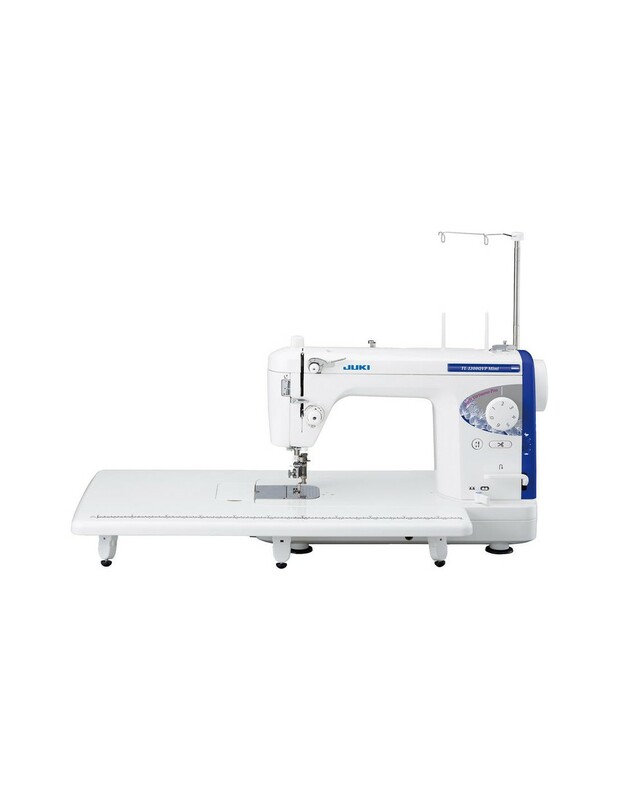 With this sewing machine, you can go from silk to denim with exceptional results every time. 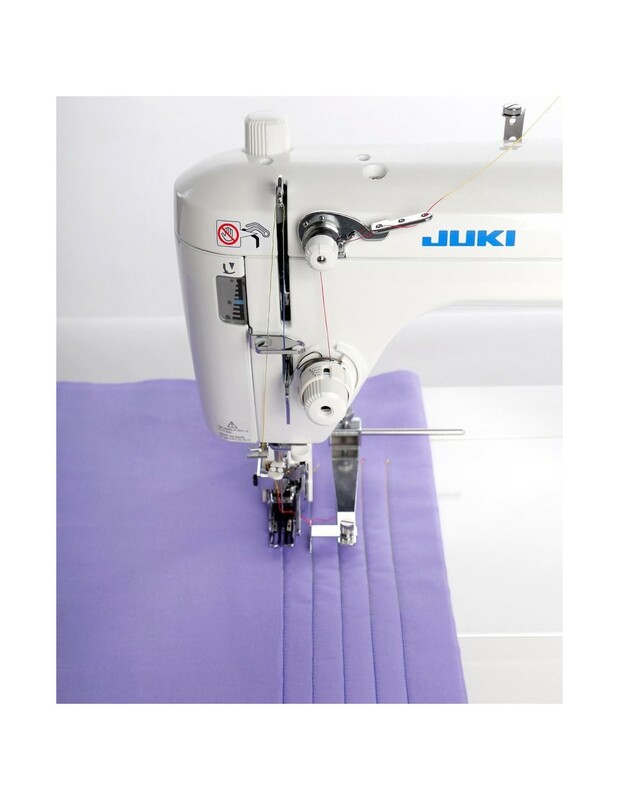 TL-2200QVP is the model number for this Juki sewing machine where the QVP stands for 'Quilt Virtuoso Pro' to indicate the results obtained with this wonder of professional sewing. 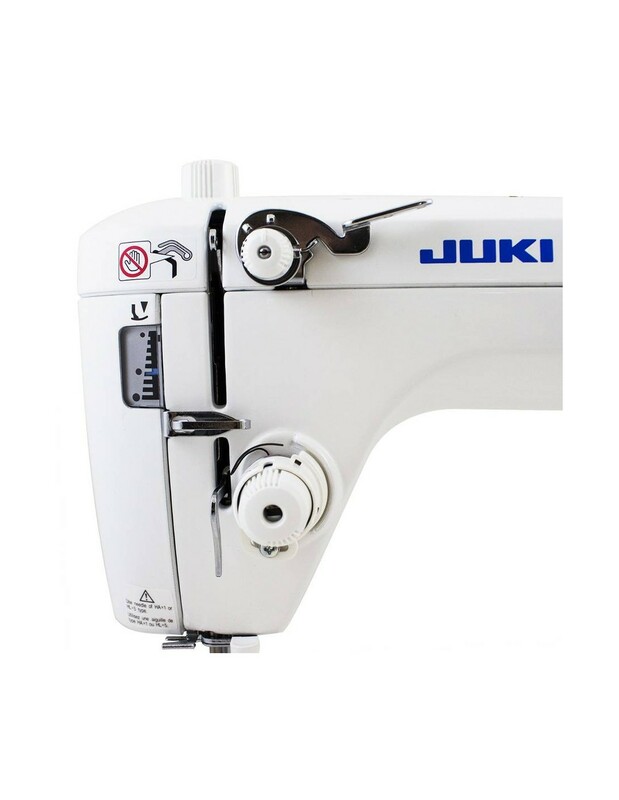 Built entirely of aluminum alloy for stiffness, durability and accuracy of the stitches unparalleled, this Juki sewing machine is equipped with a built-in handle for easy transport for those who need a machine maybe for the repairs to be made necessarily in place. 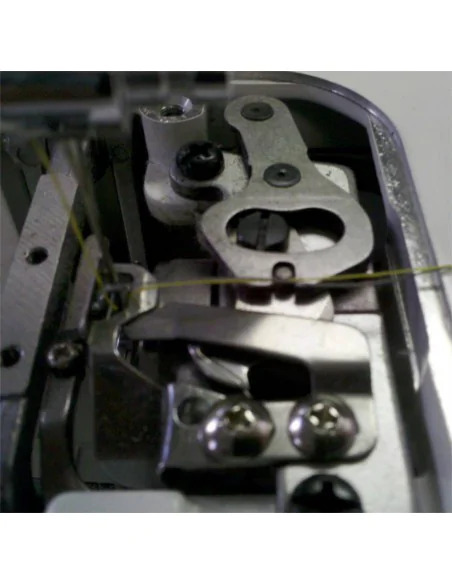 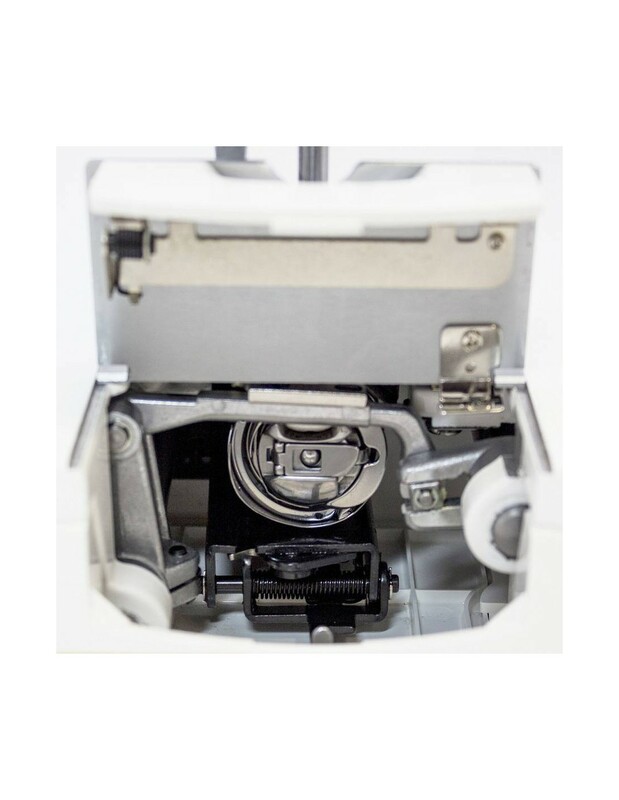 The automatic thread trimmer cuts the two threads of the seam, leaving the work finished and can be engaged both through a button on the machine and through the foot speed controller. 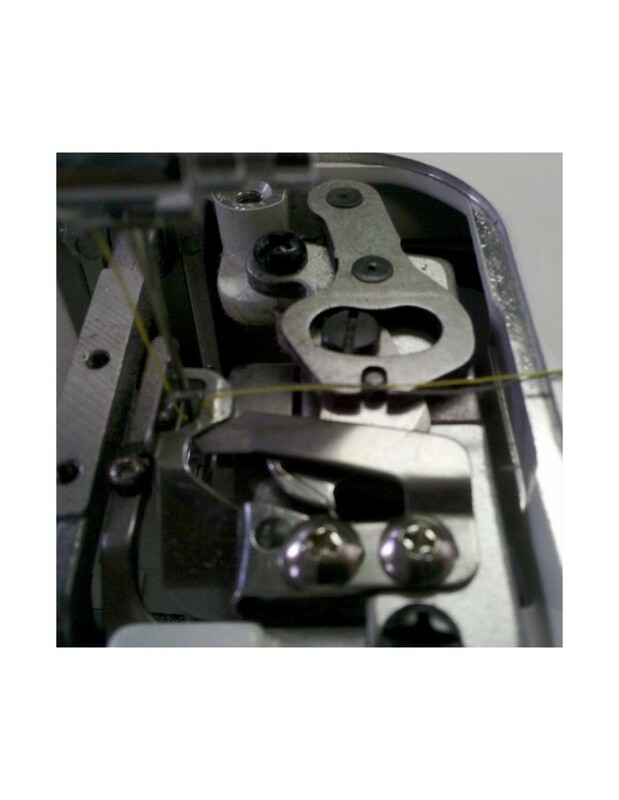 The knee lifter allows to always have both hands free to guide the fabric. 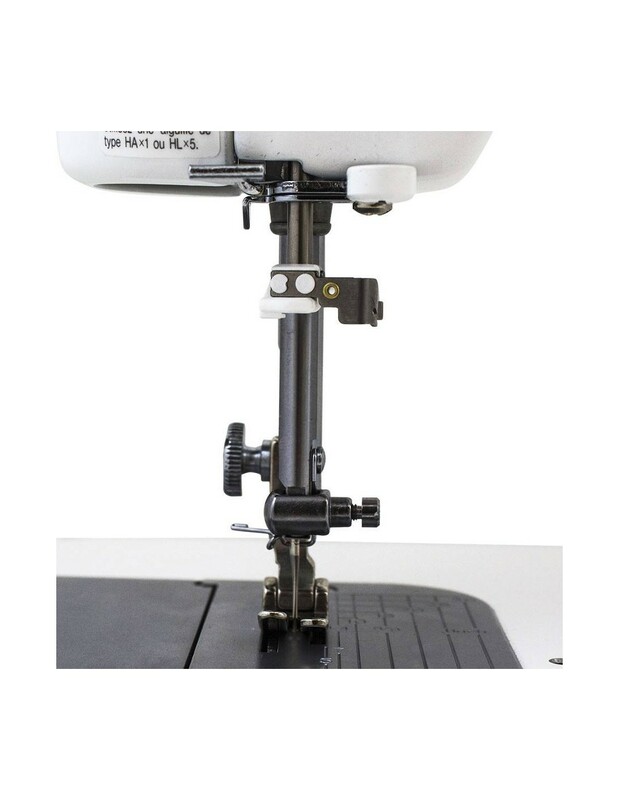 The feed dogs can be disengaged for quilting or free-hand embroidery and foot pressure is adjustable to fit any material you would like to sew. Integrated needle threader to facilitate threading, telescopic spool pins to use also very bulky industrial cones, stitch length up to 6 mm for perfect stitching on garments such as coats or very thick leather. 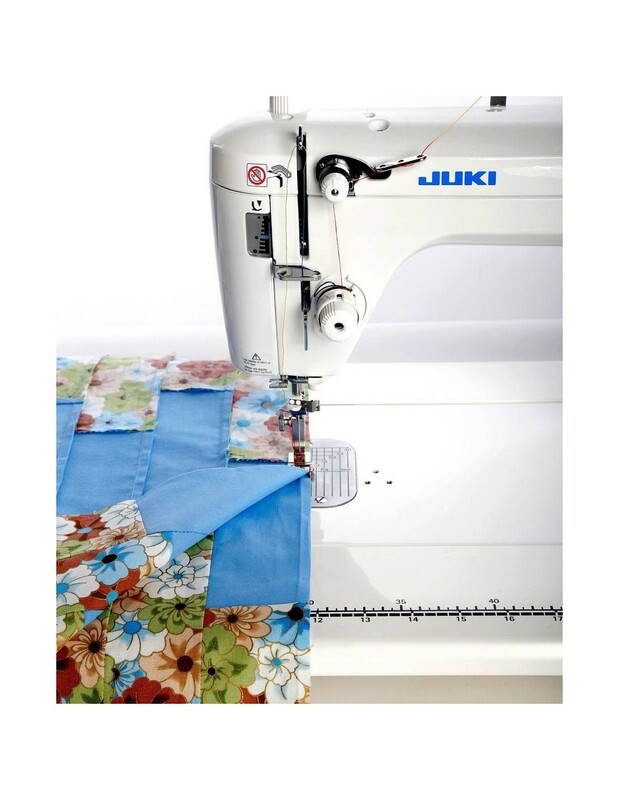 Extension table of 59x33 cm for very large works as quilts or curtains. 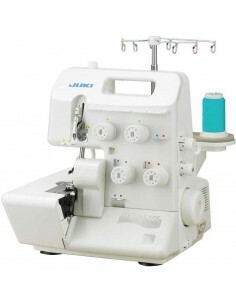 Question: Is this machine suitable for sewing small to medium weight leather purses? 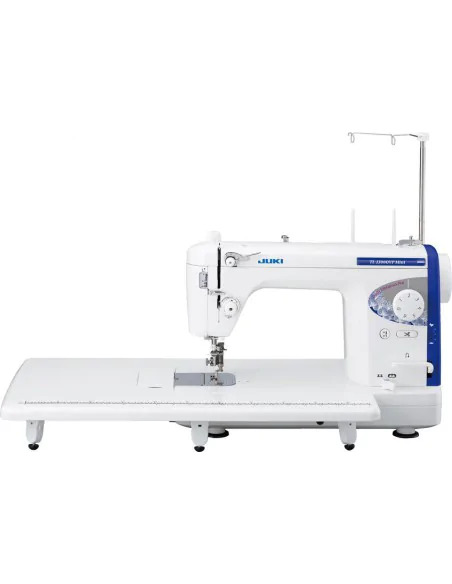 I was originally thinking of buying a portable walking foot sewing machine since the walking foot would guarantee even pressure and stitch length walking up and down bulky area's in leather projects. 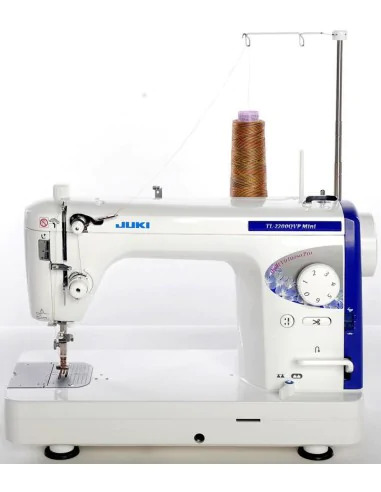 Is this machine build for those kinds of projects or would it wear out the tension and motor in the long run? 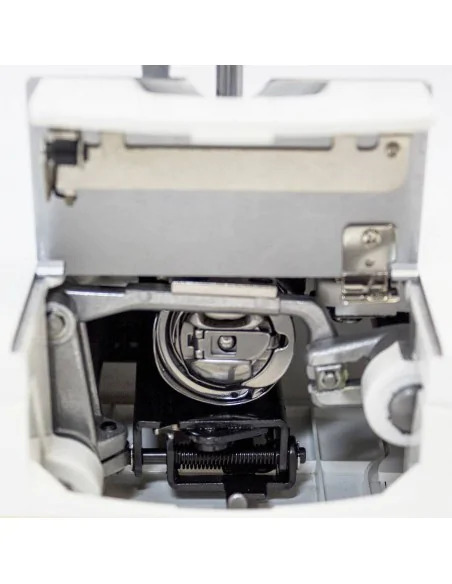 Thank you in advance for your advice! 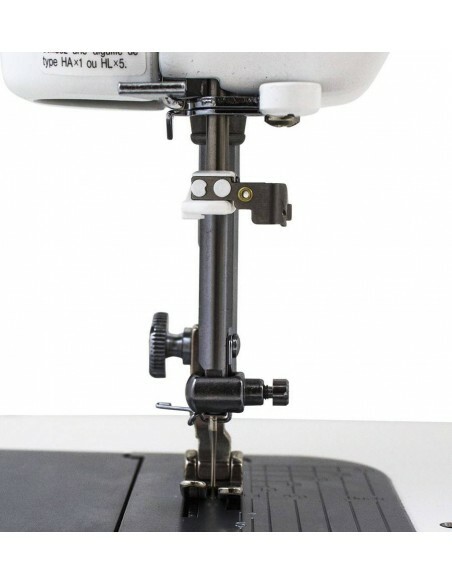 Una macchina perfetta per un uso anche professionale e la comodità di poterla spostare senza problemi. 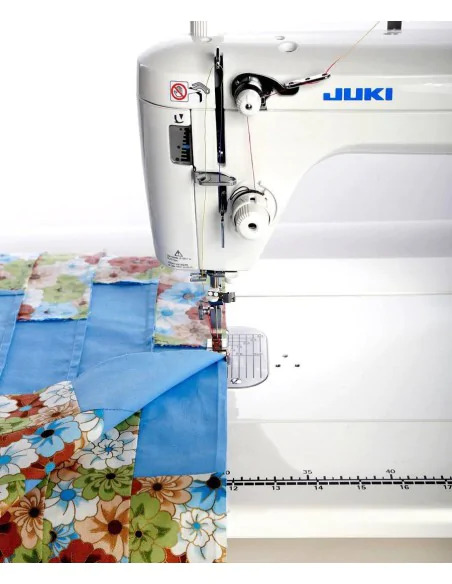 Il rasafilo poi è molto comodo per chi fa patchwork o comunque un uso avanzato della macchina per cucire. 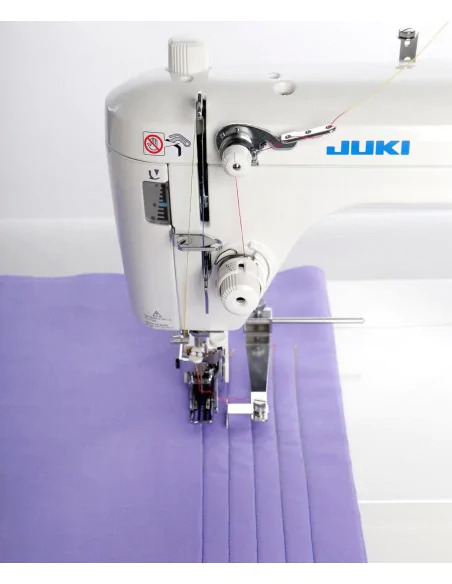 With the MO-654DE Juki overlocker perfecting every kind of material, from the light to the heavy, even the hardest to transport, creating sportive items with technical and elastic materials or children clothes, won't be a problem anymore. 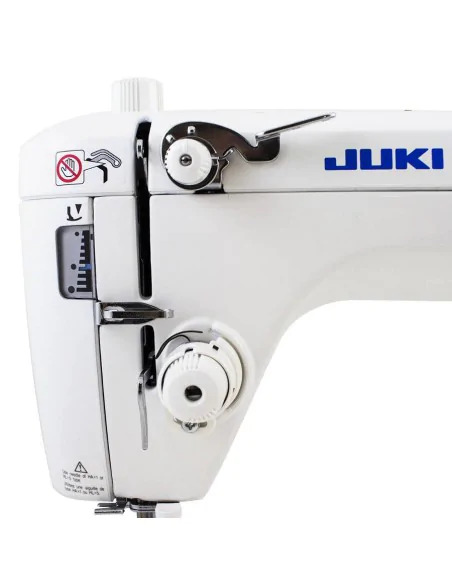 Juki is the world leader of industrial and home sewing machines of high quality.